A civil defamation suit was also filed by Jaitley before the Delhi High Court in the matter seeking Rs 10 crore as damages. NEW DELHI: Union Minister Arun Jaitley today alleged before a court here that Delhi Chief Minister Arvind Kejriwal and AAP leader Raghav Chadha were seeking a "roving and fishing enquiry" in his criminal defamation complaint against them in the DDCA row. 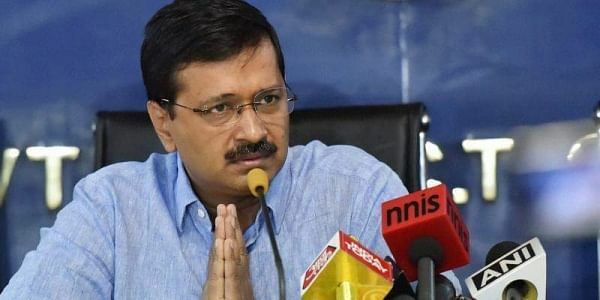 The counsel for Jaitley told Chief Metropolitan Magistrate Deepak Sherawat that Kejriwal and Chadha were trying to delay the defamation trial and opposed the applications moved by the AAP leaders seeking several documents related to the case. Senior advocate Sidharth Luthra, appearing for Jaitley, termed the applications by AAP politicians as "frivolousÂ” and urged the court to dismiss them with cost. The applications had sought various documents filed along with the complaint, saying the copies they received were not clear. Both the accused had also sought various documents from the Delhi and District Cricket Association (DDCA) and certain letters reportedly written by former cricketers to Jaitley highlighting corruption in the cricket association. "One and a half years has already passed since the complaint was filed and they (accused) chose to remain silent. Every time some frivolous application comes. "They want the summoning of various documents only for roving and fishing enquiry. They just want to delay the trial in this case," the advocate said. The court heard the submissions from both the parties and reserved its order on the applications for Monday. The court also granted exemption from personal appearance for the day to the complainant Jaitley and accused persons -- Kejriwal and Aam Aadmi Party leaders Ashutosh, Sajay Singh and Deepak Bajpai -- after they moved applications citing personal reasons. Chadha and co-accused and AAP leader Kumar Vishwas were present during the proceedings. The AAP leaders had accused Jaitley of financial irregularities in the Delhi and District Cricket Association (DDCA) of which he was the president from 2000 to 2013, leading the minister to lodge defamation cases against them. All the six accused persons were on March 25 put on trial in the case. The notice was framed against the accused under section 500 (punishment for defamation) of the IPC to which they had pleaded not guilty and claimed trial. Jaitley had filed the complaint alleging that the accused had defamed him.